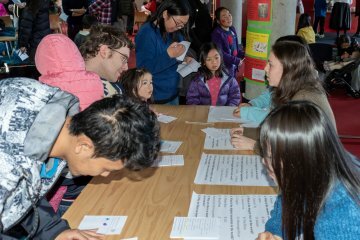 Saturday the 21st of July saw the Palmerston North City Library hold a fun multicultural event for families in the community. 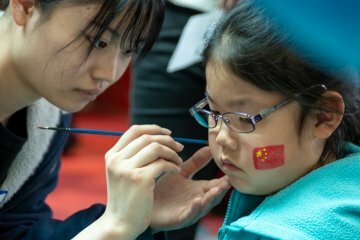 Six students from IPU New Zealand kindly volunteered their time to help out, interacting with local children, painting faces with flags from around the world and running a fun quiz challenge based on world knowledge. Events like this one are a great way for students to become more involved with the community, meet new people and strengthen the link between Palmerston North and IPU New Zealand. The Global Parents Support Community is grateful for the help of our students in the running of their event and are enthusiastic to work with them again.